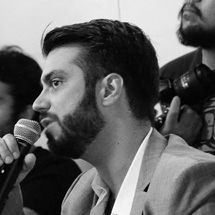 Learn more about our M.Arch.II/SUPRASTUDIO degree program by joining us on-line with SUPRASTUDIO leader Guvenc Ozel for a 30 minute presentation / 30 minute Q+A. *All days and times listed are Pacific Daylight Time/ PDT. Please convert to your local time zone. 1-Year Program, 5-Year B.Arch. Professional Degree Program or Foreign Equivalent required. 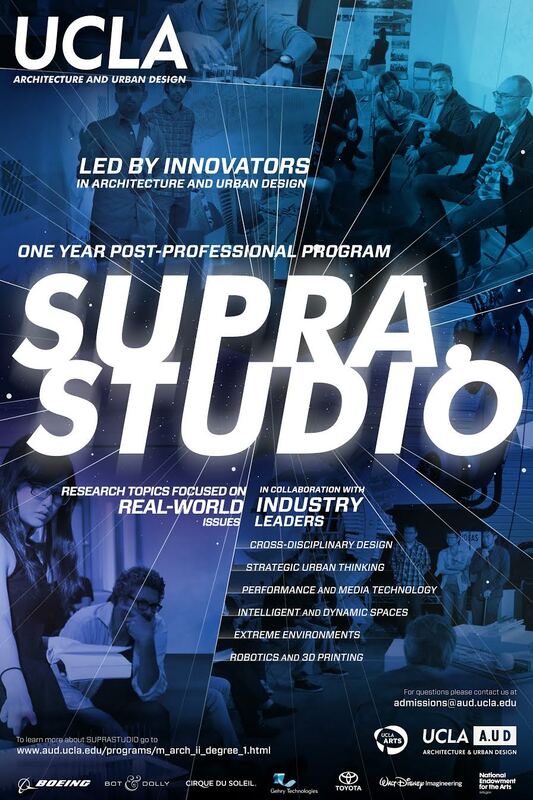 SUPRASTUDIO is a post-professional program that leads to a Masters of Architecture II degree. Students engage in real-word issues through intensive research to develop new methodologies of architectural design. The program offers extensive research opportunities in studios led by world-renowned figures in architecture. SUPRASTUDIO partners student researchers with industry collaborators exploring topics as diverse as strategic thinking, sustainability, contemporary culture, lifestyle, Artificial Intelligence, autonomous mobility, sensing technology, robotics, extreme environments, the journey to outer space, virtual reality, entertainment production performances, and media-enhanced experiences. SUPRASTUDIOS 2016-17: LEARN MORE HERE:! We will be announcing the new professors in October 2016.